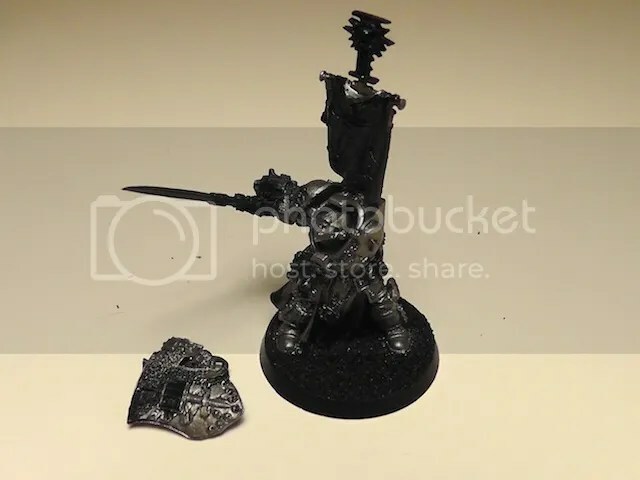 Posted by Jason Bergunder in Army building, Demonhunters, Inquisiton, Painting. Well, the Grey Knights are done being built and primed. I also put on the silver base coat to be able to take a picture of them (all black tends to not show any detail). They don’t look like much now but, in the coming days/week, they will transform into some handsome models. 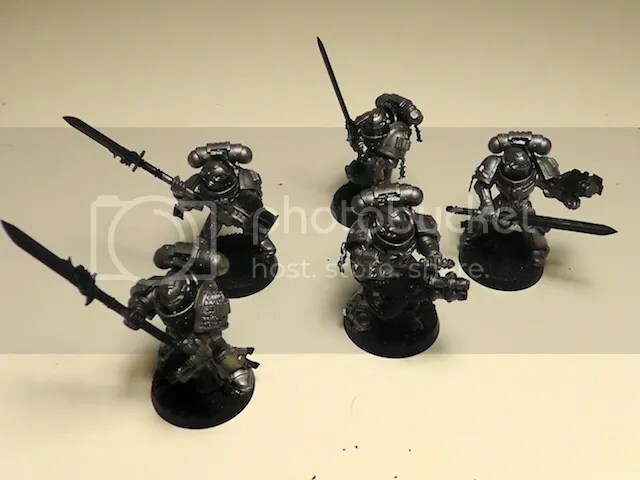 The Grey Knights have a bit of a mix of weapons: 2 halberds, 2 swords, and a psilencer. And Mr. Draigo has his shield arm separated for painting purposes.